Buying a mattress is a big decision, but there’s no reason to throw money away on overpriced mattresses that under-deliver or rely solely on powerful brand names to reel you in. There are a few factors you can consider when looking for the best mattress for your money that will help to guarantee that you make the right choice for your body and your budget. Different mattress types play a large role when considering the best value mattress. Coil, memory foam, latex foam, hybrid, and pillow-top are among some of the most popular styles in today’s market. In addition to mattress types, there are a few top qualities to look for in good value mattresses; layered construction, material longevity, and warranty are just a few things to consider. By asking the right questions, you can narrow down the sea of mattress choices until you find your best mattress for the money! Let’s get started. Designed with contouring hyper-elastic polymer, the Purple mattress is great for those in need of pressure relief along the spine. Get a free set of Purple Sheets when you buy now! A gentle construction makes the Layla mattress perfect for side sleepers. Get $110 off your purchase using code SLEEPOPOLIS. The Saatva mattress combines a luxurious pillow-top with two sections of coils for a classic innerspring feel. Enjoy a $75 Visa gift card with your purchase! The WinkBed Plus was designed to be bouncy, cooling, and particularly supportive for heavier sleepers! Save $60 on your order with code SLEEPOPOLIS60. Casper's most luxurious mattress, the Wave is built with pressure relief in mind. Save $150 with the coupon code SLEEPOPOLIS or just click this link! A soft, supportive construction makes the Nolah mattress especially good for side sleepers. Enjoy $135 off your purchase now! Read on for more details on these top picks, or click here for more info on how to spot a great mattress value. One mattress that really impresses at Sleepopolis is the Purple mattress. It has a unique gel comfort layer that really stands apart in terms of both pressure relief and value. Finding a similar-feeling comfort layer is almost impossible, making it a big draw for value shoppers as well as side sleepers. 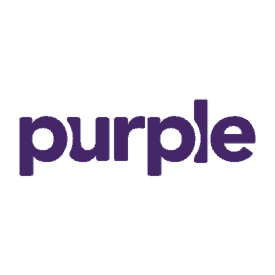 Learn more in my full Purple mattress review. My other value picks for pressure relief would be the Tomorrow Sleep mattress and Brooklyn Bedding Aurora. Looking for a value memory foam mattress? Check out Layla. This isn’t the cheapest memory foam mattress on the market, but it has a construction that makes it stand out as an affordable luxury memory foam option in my mind. The mattress is flippable, giving you two firmness options, and the memory foam is infused with copper to help you sleep cool. 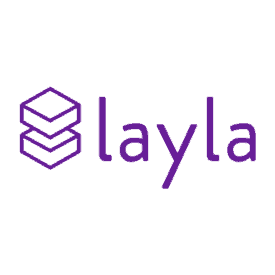 Learn more in my full Layla mattress review. Two other best memory foam mattress options for the money are Bear mattress and Novosbed. Learn more in my full Saatva mattress review. Two other great value innerspring mattresses are WinkBeds and Aviya. 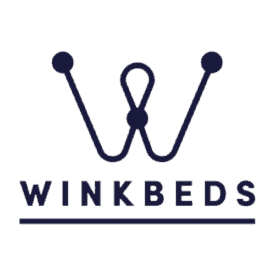 If you’re a heavy sleeper (think 250 pounds or more) looking for a good mattress for the money, check out the WinkBeds Plus. 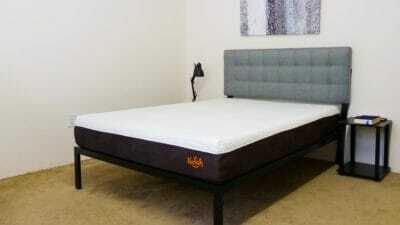 This is a special take on the WinkBeds mattress designed specifically for heavy sleepers. The construction doubles down on a lot of the materials and construction of the original WinkBeds, making it ideally more comfortable and more durable for heavy sleepers and couples. 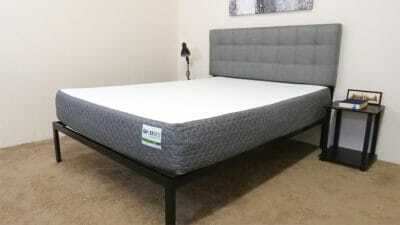 Learn more in my full WinkBeds mattress review. Some other great value options for heavier sleepers are the Big Fig and the GhostBed. The WinkBeds Plus was designed to be bouncy, cooling, and particularly supportive for heavier sleepers! Save $60 on your order with our exclusive discount! Like that memory foam feel but looking for a little extra bounce? Consider a latex comfort layer at a great value with GhostBed. 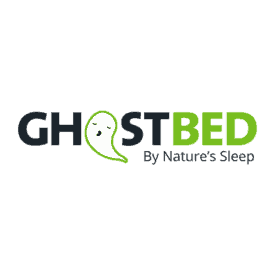 GhostBed has a comfort layer of latex and a second layer of memory foam, so you get the best of both foams. And GhostBed comes in at a very reasonable price for such a construction. Learn more in my full GhostBed review. Two other great value mattresses with a latex feel are the Leesa and the Casper. Some people equate luxury with paying too much, but why not get a premium-quality mattress at a great value? Consider reasonably priced luxury with the Casper Wave. The Casper Wave expands on the original Casper with one firmness option that should work for all types of sleepers. The mattress has high-quality materials and zoned support, making it an especially good option for side sleepers and heavy sleepers. 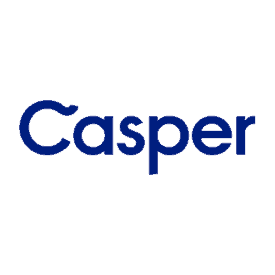 Learn more in my full Casper Wave mattress review. Some other well-priced luxury options to consider are the GhostBed Luxe and the Sapira. Some mattresses try to be everything for everyone, but Nolah is content to serve primarily side sleepers. This mattress is well priced and specifically designed to help align the spine and alleviate pressure points on the hips and shoulders when you’re laying on your side. 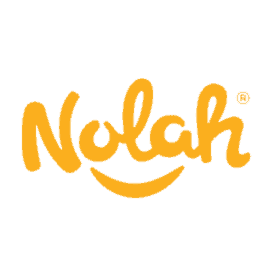 Learn more in my full Nolah mattress review. Some other value options to consider for side sleepers are the Tomorrow Sleep mattress and the Helix mattress. 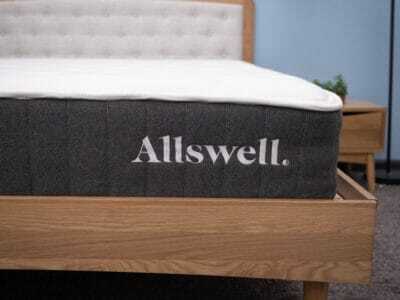 The Allswell is a bed in a box hybrid that provides great bounce and support. I found that the combination of soft foam quilted into the cover and pocketed coil support did a great job of aligning my spine. I was also impressed with the edge support on the mattress so this could be a great choice for couples looking for a new bed at a value price. If you’re interested in learning more you can read my full review of The Allswell. How Much Do Mattresses Cost? To get an idea of the best value mattress, it helps to understand the average mattress cost. The range of mattress prices is enormous, and it all depends on your budget and the quality you’re seeking. For example, a queen-size bed may cost anywhere between $250 and $5,000. On average, many people anticipate spending at least $1,000 on a mattress. You’ll have to consider your budget and the qualities you value. How Long Are Mattresses Supposed to Last? When deciding which mattress is the best value, you should definitely consider quality and durability. You can expect your mattress to last at least 10 years. The general recommendation is to replace your mattress every 10 years, as even the most high-quality brands can start to wear down after many years of sleep satisfaction. What Kind of Mattress Type Is the Best Value? While there isn’t a definitive answer to this, there are a few things that are good to know about each mattress type. Coil/spring mattresses are the most traditional and have layers of steel coils that help to provide distributed support to your body. Sometimes, these coils can even be wrapped in foam for added comfort and pressure relief. While innerspring mattresses are typically the least expensive, they can mean restless nights if the coil count is too low or if it uses poor-quality materials to separate your body from the hard coils. In addition, you can plan on replacing an innerspring mattress after only eight years. Memory foam mattresses are another option when shopping for the best value mattress. These mattresses are comprised of layers of memory foam that react to the complex contours of your body while you sleep. These can be more expensive than an innerspring mattress, but many people find the added foam layers to soothe aching back or joint pain through their exceptional pressure relief. A good memory foam mattress should last you about 10 years. 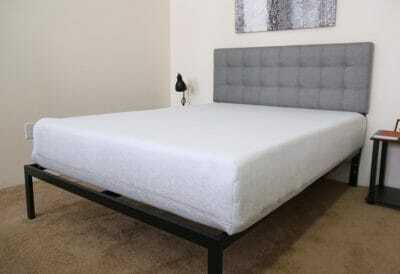 Latex foam mattresses are similar to memory foam mattresses in that both styles are made up of foam layers. Unlike memory foam, latex responds a bit quicker when you toss or turn during the night. In addition, latex tends to sleep a little cooler than memory foam. A good latex foam mattress may be a little costlier upfront, but you may find it’s worth the investment, as it should last you at least 12 years. 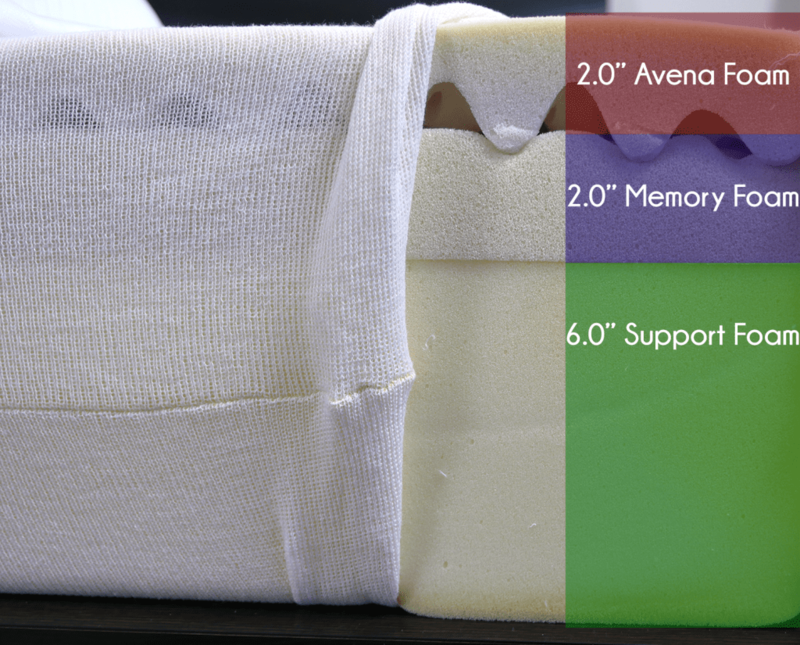 Hybrid mattresses are a blend between memory foam, latex, or coils. These tend to be a good mattress for your money by combining what people love most about each mattress type. 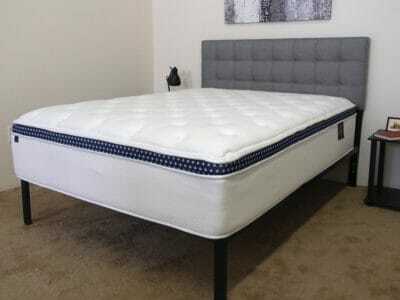 Take the support and pressure relief of a good memory foam mattress and combine that with the cooling and quicker response time of a latex foam or innerspring mattress and you may find your perfect value mattress. Hybrids can include coils and foam or varying types of foam. A good hybrid mattress will still last you about 10 years. Pillow-top mattresses can come in many different styles. They are characterized by the plush pillow-top cushion that is sewn into the top of the mattress and can be applied to innerspring, memory foam, latex, or hybrid mattresses. When considering value, keep in mind that choosing a pillow-top mattress can mean a slightly lower than average life span. The pillow-top portion (especially traditional pillow-tops) tend to be the first to go in terms of long-range performance. The soft, plush top layer can be supportive and comfortable, but when shopping for the best mattress for your money, that shorter lifespan is definitely something to think about. What Qualities Should I Look for In a Great Value Mattress? When you’re trying to identify the best mattress for your money, be sure to consider these three critical factors: layered construction, material longevity, and warranty. When analyzing the construction, look for thick layers of material that will stand the test of time. Most of today’s top-quality mattresses are around 10 inches thick or more. Settling for something thinner may lead to problems like poor edge structure, sagging, and inadequate support while you sleep. While these types of mattresses may cost you less initially, their shorter lifespan will mean you must replace them sooner, costing you more in the long run. Material longevity is another important consideration. For instance, when shopping for foam mattresses, know your foam! There are layers of support foam, Avena foam, gel memory foam, latex foam, poly foam, etc. The list goes on. Each foam has pros and cons, and knowing the breakdown of these materials and how long they will last will help you make an informed decision about the value of a mattress. Check out my guide on how to choose a mattress, which goes in depth on material types and the best scenarios for each choice. Lastly, don’t forget to look into the mattress warranty. A mattress’s value may be exponentially greater if you find that there’s a great warranty. When considering a warranty, look at if the warranty covers full replacement or is prorated; if it’s the latter, make note of the terms. Look specifically at the sagging indentation level required before you may file a warranty claim. The best warranties cover full replacement for the entire life of the mattress, are usually at least 10 years long, and will cover any indentations of 1.5 inches or more. Warranties that have terms less than this are of lower value. Be careful of long warranty periods that look too good to be true. Some companies will use 20-year, 30-year, or even lifetime warranties as a selling point. These types of warranties almost always use prorated terms and generally have indentation requirements that are 2 inches or deeper. These are the types of warranties you do not want. Do I Have to Buy a Box Spring? “Do I even really need a box spring?” This is a question a lot of shoppers are asking in today’s market when shopping for the best mattress for your money. After all, the value is significantly greater if you don’t have to immediately purchase a heavy box spring to accompany your mattress. Box springs are used to provide a good foundation and give extra height to a bed. To know for sure if one is required, be sure to check the warranty. 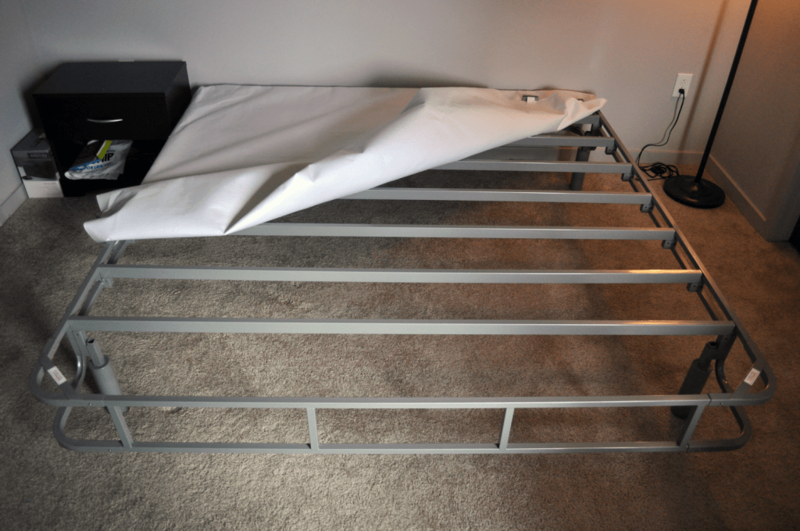 If it’s not required, you may be able to save yourself a few bucks by forgoing the box spring altogether and opting for a sleeker look. While you may not need a box spring, you will want some type of foundation. Box springs, wood foundations, minimal metal wire frames, platform beds, steel slat frames, wood slat frames, or adjustable bases can all get the job done equally well. If you do opt for a slat frame, make sure you find one with rigid slats that are no more than 3 to 4 inches apart. These will provide the best support. If you’re not sure if your box spring or current foundation is good enough, try sleeping for one night with your mattress on the floor. The floor is an ultra-hard surface and a good example of what great support for your mattress should feel like. How Can I Make My Mattress Last? One quick way to add instant value to your mattress is to take care of it. From day one, use a high-quality mattress protector. Not only does this protect from spills and stains, but it also wards off bed bugs, dust mites, sweat, dirt, and other allergens that might try and make their way into your mattress. Make a point to wash your protector as often as you wash your sheets (at least every one to two weeks, ideally). In addition, be sure to clean your mattress regularly. Sprinkle it with baking soda and vacuum it for quick odor elimination. Look to bleach or enzymatic cleaners for the harder-to-clean areas. Proper maintenance of your mattress will ensure that you are getting the most for your money and it will last you for years to come. What’s the Best Value Mattress for Me? Purple Pressure Relief Uses a combination of foam and a proprietary hyper-elastic polymer comfort layer that is formed into a grid structure. This unique layer provides an even mix of support and pressure relief and has temperature regulating benefits as well. $999 See Current Offer Read My Review! Layla Memory Foam The Layla is an all foam mattress consisting of four different layers. It is a double sided mattress which allows the sleeper to choose between a firm or soft feel depending on their preference. $899 See Current Offer Read My Review! 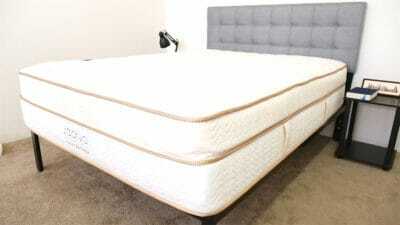 Saatva Innerspring Coil on coil design creates a bouncy and supportive mattress. The Saatva also includes a euro-style pillowtop for pressure relief, and a high density poly foam edge support layer, which strengthens the side of the mattress allowing you to sleep all the way to the edge of the bed without worrying about collapsing the side. $1,099 No Current Offers Read My Review! 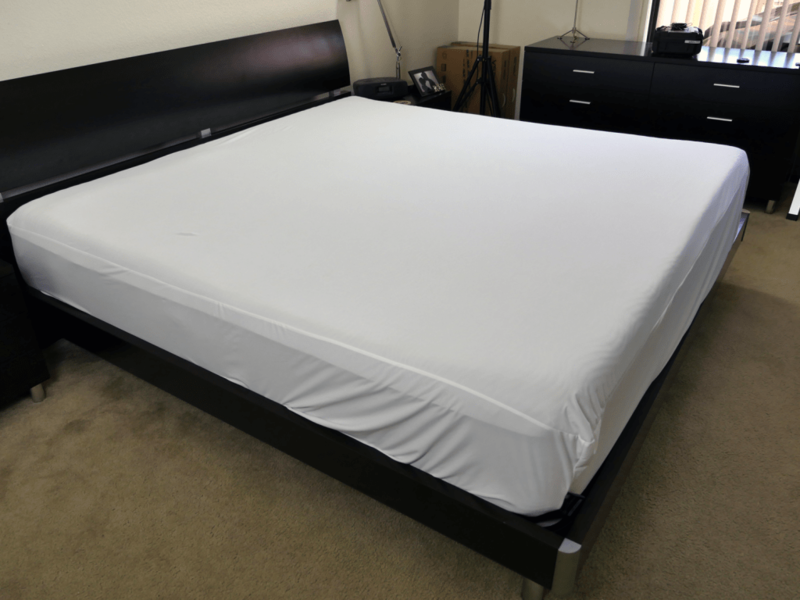 GhostBed Latex Feel The GhostBed construction places a layer of latex foam over memory foam to provide a balanced foam feel. 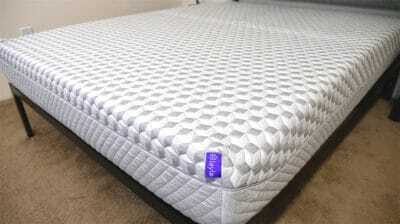 The mattress provides pressure relief with some bounce and does a good job of cooling. $795 See Current Offer Read My Review! Casper Wave Luxury Uses a combination of poly, latex and memory foams to provide comfort. The Wave includes a special polymer network in the construction to provide extra support. 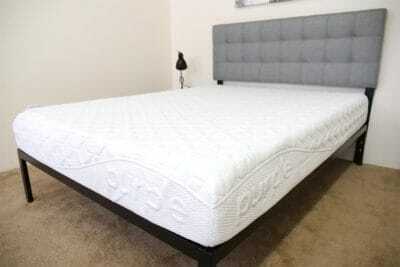 The base of the mattress is contoured to allow for pressure relief at the hips and shoulders. $1,850 See Current Offer Read My Review! DreamCloud Hybrid DreamCloud is a hybrid bed in a box that stands 15 inches in height. The mattress has a luxury feel that is great for couples and comes in at a value price. $1,199 See Current Offer Read My Review! Nectar Side Sleepers The Nectar uses 3 layers of memory foam, including one quilted into the cover, to provide pressure relief and contouring to the body. The Tencel cover and gel memory foam comfort layer are meant to help with temperature regulation and cooling. $795 See Current Offer Read My Review! While the construction types vary between these mattresses, all of them fall under $850. The $500-$850 price range provides a nice balance of quality and performance vs. price in my opinion. You get the high end durable materials that will ensure you have a mattress that goes for at least 8-10 years, but you don’t have to pay for extra bells and whistles you don’t necessarily need. If you do decide you want to spend a little more money check out my guide on the overall best mattress. It includes many of these in addition to a few other more pricey choices.